Take the A830 Fort William to Mallaig road, and turn off half a mile north of Arisaig on to the B 8008, the coastal road. There is a sign to the golf course at this junction. Follow the B8008 north for about one mile until you reach the beaches and the course. Park in the golf car park, opposite the white clubhouse. 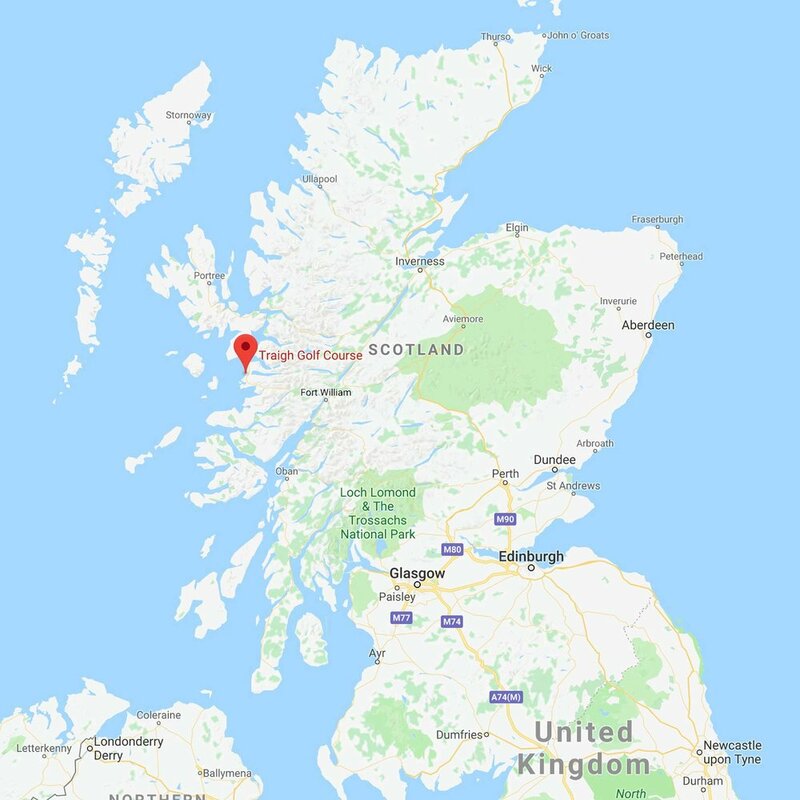 ScotRail - There are railway stations at Arisaig (3 miles) and Mallaig (6 miles), but it would be necessary to arrange a taxi from Mallaig to reach the course (Tel. 01687 462 885).You can get an overnight sleeper from London (Euston station) to Fort William, and change trains there. You can catch the Harry Potter ‘Hogwarts Express’ steam train to Mallaig. If there's a small group of you, try Rabbie's Travel here - one of Scotland's leading minicoach tour operators. They are 'Off the beaten track' specialists and can take small groups of up to 16 of you on custom-designed tours round wherever you like around the Highlands and Islands of Scotland. They also do airport transfers.